Our second interview is with Neeraja Lingam, President of IndraSoft Inc. Her company is nominated for “Contractor of the Year” in the less than $25 million category. Neeraja Lingam: Over the past 3-5 years, we strove to grow 100 percent year-after-year while maintaining stability and high customer satisfaction. For the next 3-5 years, we plan to continue to grow organically and through M&A while focusing on stability and profitability. Neeraja Lingam: IndraSoft has been able to grow as the federal market contracts by aggressively pursuing opportunities that align with our strengths and writing high quality proposals, thereby achieving higher win rates. We also have focused on operational excellence and customer service that has resulted in in retention of work and on-contract growth. IndraSoft’s team members want to continually add to their skills in meaningful ways. IndraSoft provides continuous professional development opportunities, such as tuition reimbursement programs, stretch assignments and on-demand flexible e-learning opportunities. 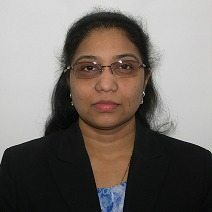 Neeraja Lingam: O&M Contracts, IA/Cyber Security concentrated contracts are the fasting growing components of our contracts. Neeraja Lingam: Indrasoft has doubled in its size in the last 18 months. We have successfully won multiple task orders on NETCENTSSII IDIQ Vehicle. We strengthened our Human Resources/Accounting/Business Development team by hiring team members that bring value and strength to IndraSoft. We opened physical offices in St. Louis, IL and Montgomery, AL and expanded our work force into OCONUS locations, as well. Neeraja Lingam: With shrinking budgets and cuts, there is enormous pressure on customers and contractors to provide cost effective and agile solutions. IndraSoft’s approach to confront these issues is to partner closely with customers and identify innovations that result in efficiencies and cost savings. This approach also benefits our employees because we believe that the best ideas come from within, we foster an environment where innovation is encouraged and we reward those who help our customers and company improvements. We also have trained many of our team members in the agile approach and are employing that approach successfully on multiple contracts. WashingtonExec: What are the largest challenges that you predict your business will face in the next 5 years? Neeraja Lingam: One of the biggest challenges IndraSoft will face is the transition to the Full & Open market as we grow out of the SB Size standard. We will need to tailor our corporate strategy accordingly to meet this challenge. WashingtonExec: How does your organization maintain engagement will all levels of employees? Have millennials entering the workforce changed your corporate policies? If so, how? Neeraja Lingam: IndraSoft infuses written communication and social interaction throughout the organization through snippets, quarterly newsletters, personalized birthday cards, kudos recognition awards and announcements, holding corporate events such as summer BBQ’s and holiday parties. Millennials crave collaboration, team-based work projects and an unstructured flow of information at all levels. IndraSoft strives to create and organizational culture that is flexible and has open communication. We have deployed collaboration tools such as MS Lync and use video-teleconferencing to link our geographically dispersed workforce. These tools enable IndraSoft to have collaborative discussions in which we encourage employee engagement and innovative thinking across generations. IndraSoft’s team members want to continually add to their skills in meaningful ways. IndraSoft provides continuous professional development opportunities, such as tuition reimbursement programs, stretch assignments and on-demand flexible e-learning opportunities. In addition, IndraSoft encourages flexible work hours and healthy work-life balance. IndraSoft understands the link between employee satisfaction, engaged employees and organizational success. Engaged employees are committed to quality, customer service and will find ways to overcome obstacles. IndraSoft conducts Employee Satisfaction surveys to identify and understand factors important to our employee’s satisfaction from the perspective of the employees. This knowledge helps IndraSoft to understand and appreciate our team member’s preferences with developing programs and policies. Neeraja Lingam: IndraSoft promotes the health and wellbeing of our employees, their families and our community. We empower our employees to volunteer and support charitable and worth causes. IndraSoft gives back to the community, both locally and nationally, in a variety of ways. Our team members are supporting Reston Interfaith/CornerStones for the past seven years by providing hot lunches as well as bagged lunch program. Our recent philanthropic outreach includes donating to local charities, IndraSoft team members volunteering to Shorehaven (Maryland Association of Nonpublic Special Education Families) and participating in non-perishable food and toy drives, and sponsoring the Montgomery, Alabama Chapter of the Armed Forces Communications and Electronics Association (AFCEA) intern scholarship program. High school seniors are selected based on academic and community leadership accomplishments. The student received a scholarship, internship and compensation totaling $6,000 and a laptop from AFCEA. During the 10 week internship, the student worked with IndraSoft’ s management team, gaining experience and exposure working on all aspects of IndraSoft IT business. IndraSoft has also implemented a corporate-wide recycling program to support environmental awareness and to minimize the negative impact on the earth’s environment. We are also in the processes of finalizing the implementation of Fisher House Foundation, Habitat for Humanity and Feeding America charitable giving programs. Click here to read our first interview with Julian Setian, CEO of SOSi, and here for our third interview with Lynn Ann Casey, CEO of Arc Aspicio.